PARIS - February 21, 2017: Actress Margot Robbie has been revealed as Nissan’s new electric vehicle (EV) ambassador by racing the carmaker’s radical all-electric BladeGlider sports car around the world-famous Monaco Grand Prix circuit, at midnight. The prototype 190km/h Nissan BladeGlider, which hits 100km/h in less than five seconds, challenges the conventional thinking of what an all-electric sports car could look like in the future. 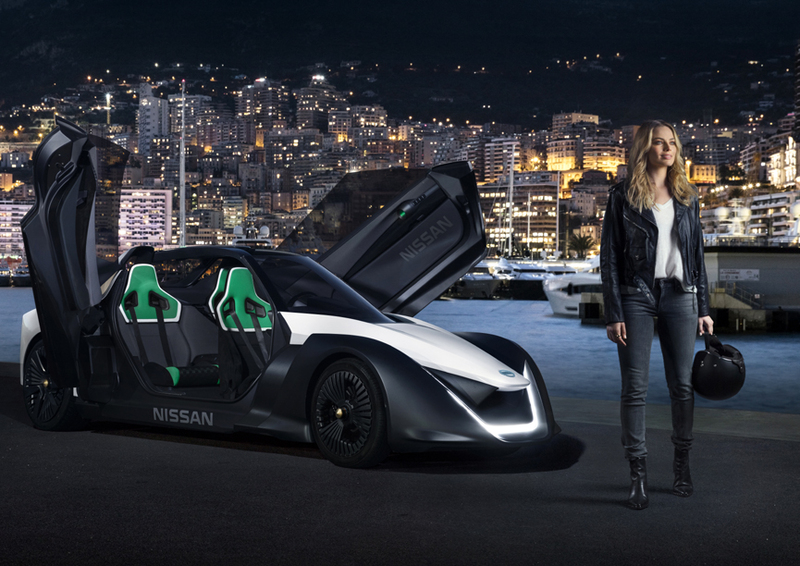 Showcasing all the fun and excitement of pure electric vehicles, the prototype is part of Nissan’s Intelligent Mobility vision of how cars should be driven, powered and integrated into society. Margot Robbie put the radical three-seater through its paces around the closed Monaco street circuit before racing another BladeGlider. The pair of 272PS performance cars raced through the iconic Tunnel and diced with each other along Massenet before finishing in the glamour of Casino Square. As the manufacturer of the world’s best-selling electric vehicle, the LEAF, Nissan is also revolutionising the way energy is generated and utilised with products like its intelligent xStorage Home unit and vehicle-to-grid technology, which harness the power of battery technology from electric vehicles. Gareth Dunsmore, Director of Electric Vehicles for Nissan Europe:“The electric revolution is happening. As the global leader in electric vehicles, and with mass adoption just around the corner, it is more important than ever that we showcase all of the benefits of driving an electric car – from energy efficiency, to sustainability, from handling to performance. Having Margot on board will support us in spreading news of the personal and societal benefits of electric vehicles to more people than ever before. The Nissan BladeGlider will be on display at the 87thGeneva International Motor Show from 7th to 19th March 2017. Developed from a concept car first debuted in 2013, the all-electric sportscar is a precursor to a suite of future technologies that will combine Intelligent Mobility, environmentally friendly impact and sports-car driving capabilities. 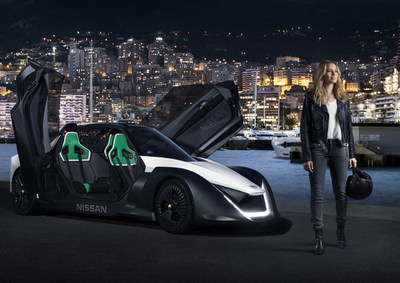 Monte Carlo provided the perfect location for Nissan to reveal its exciting new partnership with Margot Robbie. Monaco has a rich heritage in street racing and an ambitious sustainable strategy to decrease carbon emissions by 50 percent by 2030.